Things to do in Calgary with Toddlers : A list of fun activities to do with preschoolers in Calgary, Alberta. 1. Calgary Zoo: Calgary Zoo offers hours of adventure and fun for you and your big bundle of joy. Delight in your toddler’s squeal of joy when fluttering butterflies land on your child or laugh with your child at the antics of the baby gorilla. 2. 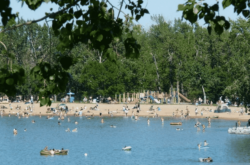 Inglewood Bird Sanctuary Calgary: Visit this bird sanctuary in the middle of the city, enjoy the chirping of birds and see over 270 species of birds. Trails are open year-round; Nature Centre- 10 a.m. - 4 p.m. - varies according to season. 3. Butterfield Acres Calgary: Enjoy a gorgeous day out at the farm that has plenty of activities for your toddler from petting farm to seeing newborn farm animals to having a fun time going on a tractor ride. 4. Corn Mazes: Corn Mazes in and around Calgary are not just about having fun getting lost. From jumping pillows to petting zoos and other farm fun activities, there are plenty of delightful activities to tryout at the corn maze. 5. The Military Museums Calgary: A military museum may not be the first thing that comes to your mind when you plan a day out with a preschooler. But The Military Museums Calgary has lots of real tanks and fighter planes that your child would love climbing on. Monday - Sunday, Closed Jan 1 & Dec 25. 6. 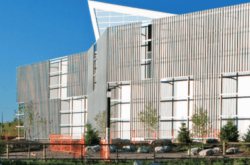 Telus Spark: Visit the Creative Kids Museum at Telus Spark and have a great day out exploring the sensory-rich activities from crawling tracks to giant climbing structures. 7. Spruce Meadows: Tour the stables of Spruce Meadows and see the horses at the barns or free jumping of horses (December & January). Spruce Meadows also hosts internationally renowned tournament with plenty of family fun activities and shows. 8. Bow Habitat Station: Your toddler can feed the fish and crawl amongst replicas of Alberta’s wild animals or chase the ducks at the extensive grounds at this budget friendly family attraction in Calgary. 9. Iron Horse Park: What toddler wouldn’t like to go riding in a miniature train ride? Visit Iron Horse Park in Airdrie and go on a chuga-chuga choo choo ride over the landscape that represent the prairies to the coast. 1. Explore Nature: A simply free activity like a day out in the park, opens up a world of wonder for your little one. Point to the the leafs turning colour, listen to the chirping of crickets, and birds, see squirrels chasing nuts, hunt for different shaped rocks or go on a bug hunt as you explore Calgary’s Parks. Open at 8:00 a.m. every day of the year and open during day light hours. 2. Calgary Parks Play Grounds: There are quite a few accessible play structures with various kinds of swings, bouncers and low slides, at Calgary’s Parks for your toddler to enjoy. See here for a list of great playgrounds. 3. Outdoor Spray Parks, Wading Pools and a Day at the beach. Beat the heat and enjoy the summer by visiting one of our many wading pools, spray parks and outdoor pools around the city. Mid-June to the September long weekend. Enjoy a sunny winter’s day at Calgary’s tobogganing hills. In addition to having great Playschool & Preschool programs, the leisure centres have water parks with a wave pool, slides, splash zone, and gym for preschoolers. The leisure centres are two of the best indoor recreational facilities in Calgary. Let your toddler explore play structures and other fun activities spread over 12,000 square feet. Have family fun at the indoor playground and family entertainment center that features play structures, Toddler Areas, roller race and more! Let your toddler climb, roll, and slide at this great indoor play area in Calgary. With plenty of bouncy castles, crawling tunnels, play structures, and baby areas with play mats, Play-A-Latte is sure keep your toddler busy as you enjoy a Latte, at this indoor playground located at Midpark Boulevard. 10. Calgary Public Library: offers plenty of free activities for toddlers and preschoolers – from story times to puppet shows. Details. 11. Calgary Recreation: Calgary Recreation offers parent and tot swim programs, parent and child fitness classes, various art programs for preschoolers. See here for details. 12. Bach Tots: Attend a Bach Tots performance by Soul Centric Performing Arts. Bach Tots performances are choreographed specifically for young children ages 0-6 and introduces them to classical and contemporary dance, visual storytelling, music and the performing arts through short live performances. 13. Art Baby Tours: Take your baby to the Glenbow museum for a relaxed, infant-friendly one-hour tour of current exhibition. A great activity for the parent. The tour is offered during select days in an year. The CORE is going WILD!